Execute Summary: What is it and why do you need it? I’m glad you asked. The annual Executive Summary (ExSum) is a tool for you to use to reflect on and share information about the previous year of your business. The ExSum is basically a narrative of the highs and lows of the previous 12-months at your Small Business. I would suggest you work on this on a quarterly basis, so the awesome things (and the disasters) are fresh in your mind. I wrote my first ExSum many years ago when our attorney informed me that we needed corporate “minutes” each year to prove that we actually were a corporation. Sounded intimidating so, like I usually do, I just wrote a story. A story about the previous year, including names, dates, and details about memorable moments on our journey as Small Business owners. Write about whatever you want. That’s the great thing: you’re in charge and you get to decide what’s important enough to include in your ExSum. When writing, keep in mind who your audience will be: business partners, employees, bankers, lawyers, anyone you are asking for money, journalists that want to learn more about your company, potential or current joint venture companies and more. I would suggest you write a very detailed ExSum, then whenever you need to provide data to someone about your business, you can edit for your intended audience. You would not necessarily want to provide the same info to a banker that you would a journalist – but you’ll have the luxury of picking out pieces of data to create a quick report for anyone if you have a detailed ExSum to use as a framework. Start with a brief narrative about how the year went overall. Listen to your gut, are things headed in the right direction? Did you make changes that you implemented successfully? Renewed our line of credit with Dirtbag Bank with no changes in covenants. Opened relationship with a major new supplier in China that helped us cut costs by 5%. Bought a new Forklift – living the dream! Completed negotiating lease renewal for Fairfield – Successfully outplayed evil landlord. Hired new web developer to develop mobile site. I continue reviewing each month. Mining data from my quarterly ExSum, Slack, emails, notes, reports and anything else that will jog my memory. Once I’m finished, I then like to review our previous year’s ExSum and see how that report compares to this one. Was the tone positive or did I feel like I had the weight of the world on my shoulders? Did we overcome any major obstacles compared to the year before? If so, I add these to my Success List to remind myself what a Badass I really am. Finally, I take a few minutes to read over the ExSum I just created over a few days. Letting it rest and then revisiting really helps me to absorb the information and to be sure I did not miss anything important. I then writeup a conclusion, since I am the type of person that always has more to say. You can view a template that may help you with your ExSum below. If you have additional tips and tricks, be sure to share with the Small Business Show support group! The usual caveats: This is what has worked for ME. Feel free to edit and modify things any way you want when developing your own Executive Summary. HOW you do it each year is not as important as just doing it. I guarantee you will find these extremely valuable as you build up a library of them over the years. Your Monologue: Start with a narrative about the previous year. 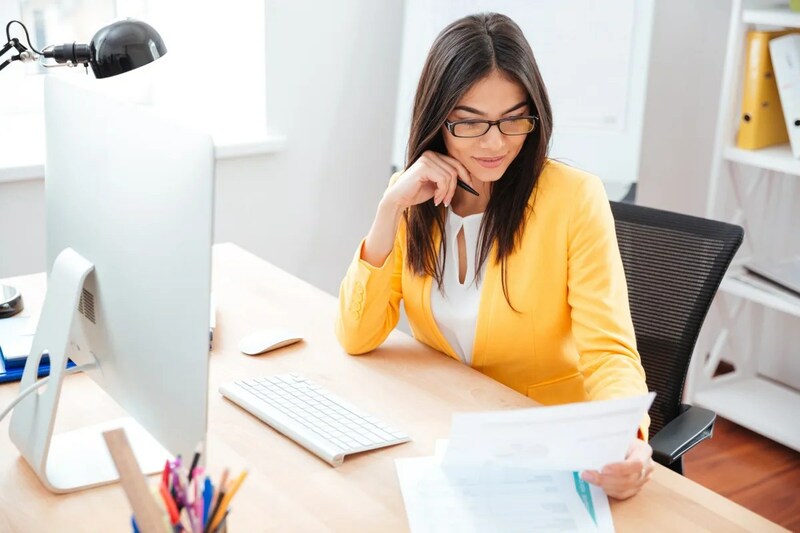 Make it as long as you need – remember, you may never give this entire document to anyone, but you will certainly take pieces of it to create individual reports for specific audiences. This version is for you. Don’t worry about the specific details yet, just get your thoughts down on paper. Listen to your gut, was it a “good” year for your business, or are changes needed so you don’t have another year like it in the future? Tell your story here. Month-to-month: List the highs and lows from each month. Who you hired or fired, new major customers, extraordinary expenses or income events, new vendors, problems you encountered and problems you have overcome, anything that seems important – you get the idea. Future Development: What do you have on track for the current year? Are you growing or just trying to maintain things? New business opportunities? New challenges? Don’t hold back here, what do you want to achieve during the current year with your Small Business? Compare/Contrast to the prior year: Look back two years ago at your Executive Summary and see how things look now. Do you have the same priorities? Did you achieve the items in your prior year summary? Conclusion: Read through your summary and list your final thoughts here about how things are going with your business. I usually find that after reading my summary, I have more to say in the conclusion.